Theresa May told NGOs that drone airdrops of aid couldn’t be done. Viable options for drone airdrops have been available for over a year. In Rwanda, drones are right now being used for fast airdrop delivery of blood supplies. And in the UK, the APPG Friends of Syria has revealed that options for drone airdrops of food for Syria have been available for over a year. Yet as recently as December, Theresa May wrote to NGOs claiming that drone airdrops of aid were impractical. Existing models of drones provide readily available means to bring aid to besieged civilians, and at no risk to UK personnel. MPs should now demand answers as to why the UK Government flatly refuses to even try using drones to save the lives of Syrian civilians under siege. Rwanda’s new delivery system for blood products uses fixed wing drones that are launched from a catapult and follow a pre-programmed course to drop a small package from low altitude into an area the size of two parking spaces. These Zipline drones carry a light load (1.5kg of blood) but higher capacity and longer range drones suitable for airdrops in Syria were identified over a year ago. Airbridge Aviation, an Oxford-based British company, conducted an extensive comparison of options in January 2016 and selected the Arcturus T-20 as the most capable unmanned aircraft for humanitarian airdrops in Syria. 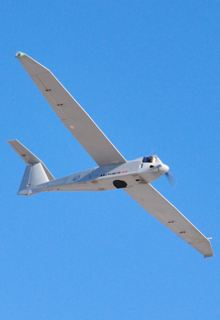 The T-20 is a well-established UAV first developed in 2009 and used by the Mexican Navy and the Turkish government. It has a maximum range of 900 kilometres, carries a payload of 36 kilograms and has a proven airdrop capability. Like the Zipline drone used in Rwanda, the T-20 also launches from a catapult and doesn’t need a runway. Read more about how drone airdrops can help besieged civilians at APPG Friends of Syria. 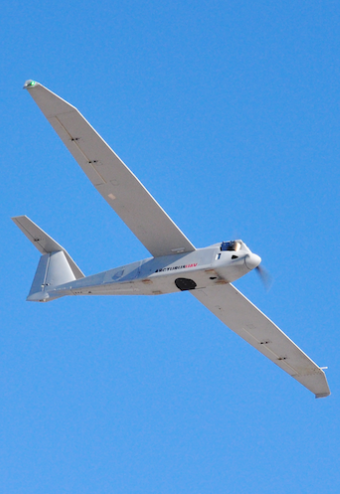 Using nine T-20 drones flying twelve hours a day at 50 nautical miles range (about 90 kilometres, or the distance from the Jordanian border to the suburbs of Damascus) Airbridge Aviation write that they could deliver around 1,800kg of aid per day, feeding 1,675 people their full nutritional needs. All of this can be done without putting UK air crews at risk. We earlier reported on JPADS, another option for airdropping aid cross border into Syria without UK aircraft entering Syrian airspace. These are GPS-guided parachutes that can fly 25 kilometres from where they’re released to a pre-programmed precise landing spot. The World Food Programme confirmed to us that they had used JPADS about 25 times to drop medical aid to regime held Deir Ezzor. The WFP has never airdropped aid to communities besieged by Assad or Hezbollah because they refuse to act without regime consent. It is shameful that the UK and other states militarily engaged in Syria have effectively stood by as Assad and his backers have besieged, starved, and forcefully displaced entire communities. It is shameful that the UK and others have not used the means available to relieve the suffering of civilians subjected to this deliberate cruelty. Airdrops in themselves won’t end the sieges. They won’t stop Hezbollah and Assad forces shelling and bombing besieged communities. But they can bring an end to the Assad regime’s veto on humanitarian aid. They can give civilians some relief and save at least some lives. And they would show that the UK is willing to match fine words of concern with at least some concrete action. Learn more about Syria’s besieged communities at Siege Watch. Madaya, a short distance from the Lebanese border, is one of the many communities still under siege in Syria. It could easily be reached by JPADS or by drones. It is now over a year since Jo Cox and others first called for the Government to seriously consider humanitarian airdrops to people trapped in Madaya. As images of starving children led to mounting public pressure, the Assad regime and its Hezbollah allies let some aid into the town, but only some. 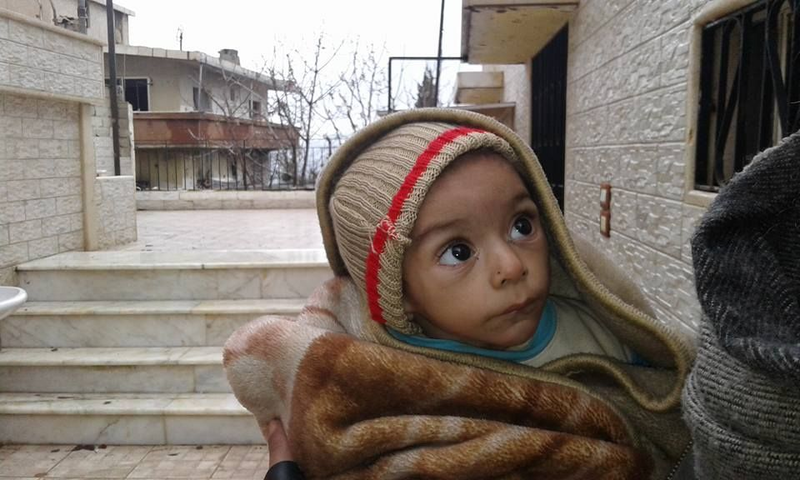 Currently Madaya has been without aid deliveries for over two months, despite the promises of the ceasefire declared by Russia and Turkey in December, despite multiple UN security council resolutions, despite years of negotiations by UN agencies with the Assad regime. Even when the Assad regime has let UN aid through, these convoys have been intermittent and subject to severe restrictions. Siege Watch reported that 27 kidney failure patients were trapped in Madaya by the end of October, unable to receive dialysis due to lack of supplies. Highly contagious bacterial meningitis is also widespread and there are no infant vaccines available. In November, at least four children died of malnutrition related causes. At the end of November, some aid was let in, but has since again been blocked by Hezbollah and the regime. 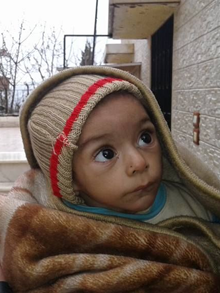 Airdrops of medical and food aid to Madaya and other besieged areas can save lives. We know—Syrians know—that the UK has the ability to act, so let there be no more shameful excuses. Write to your local candidates and call for airdrops by drones and JPADS. Videos: BBC report on Zipline drones delivering blood supplies in Rwanda, and Arcturus video showing their T-20 drone.